Matt Meekins remembers having to institute an “Ed Oliver Rule” during spring football practices at Westfield High School in Houston. It was either that, or his offense would never execute a successful inside run. The rule was simple: For the six inside run plays on the practice script, Oliver, then a sophomore defensive tackle, could only be on the field for half of them. 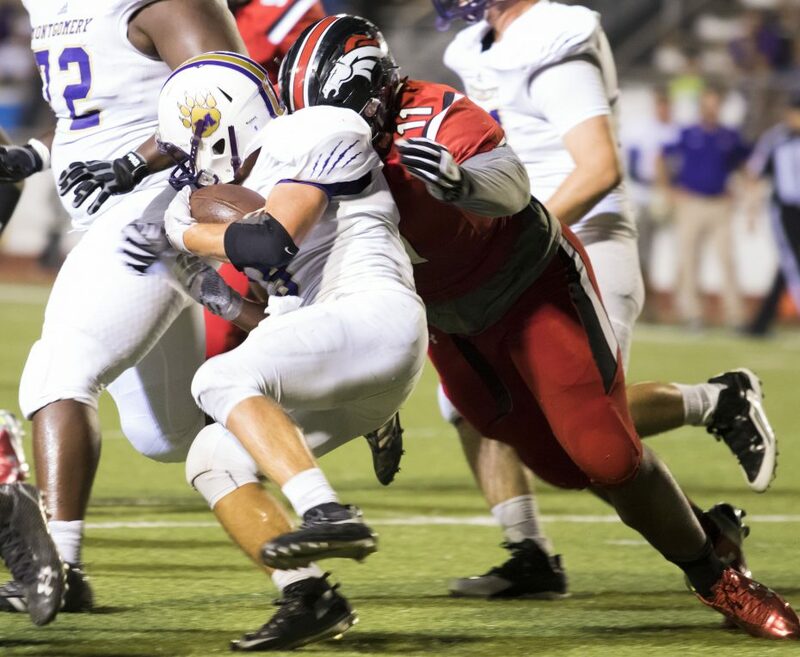 To the surprise of no one who followed his remarkable high school career, Oliver proceeded to become a standout defensive tackle in college and is viewed as one of the top prospects for the April 25-27 NFL Draft. 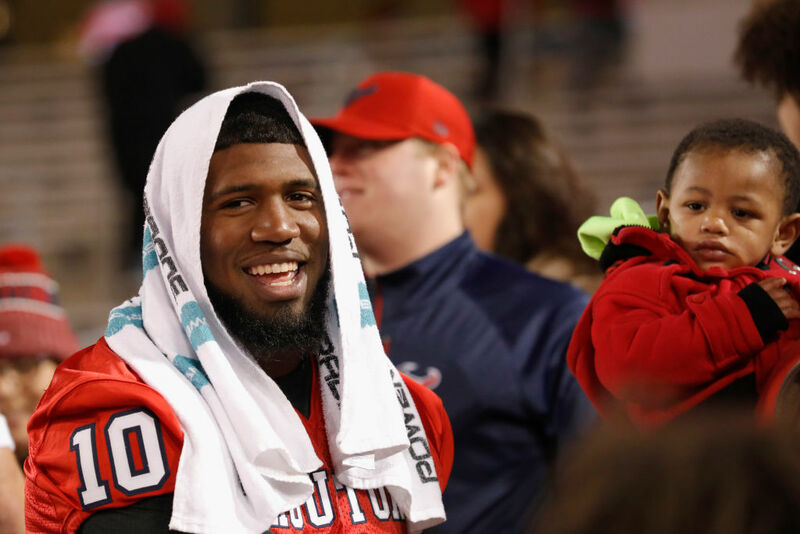 Some prognosticators, such as ESPN’s Todd McShay, see the Buffalo Bills addressing one of their key needs by using the ninth overall pick on Oliver – assuming he’s still available. Oliver told reporters that the Bills were one of the many teams that met with him in February at the NFL Scouting Combine in Indianapolis, where he showed off his freakish physical ability, running 4.73 in the 40-yard dash and benching 225 pounds 32 times. Bills General Manager Brandon Beane and coach Sean McDermott attended Oliver's pro day at the University of Houston. At one point, McDermott was watching Oliver so closely in a drill that the two nearly collided. Oliver also said he had a pre-draft visit to Buffalo. The 6-foot-2, 281-pound Oliver made his mark at Houston. However, Meekins recalls that during one of those spring sessions in Oliver’s sophomore year at Westfield, he thought Arkansas was a potential destination. An assistant coach for the Razorbacks couldn’t believe his eyes as he watched how singularly disruptive one player in the middle of the defense could be. This was shortly before the “Ed Oliver Rule” was put in place. It would stand to reason that someone who commanded so much respect for his skills at such a young age would have a great deal of self-confidence. Put a large check in that box for Oliver. "You couldn’t tell him he couldn’t do something athletically. He would challenge you, whether it was in the weight room or running drills or doing something like that." — A.J. Blum, Ed Oliver's former high school defensive coordinator and college defensive line coach. At the combine, he had no problem reciting what he believes sets him apart from others in what is widely viewed as an elite crop of defensive linemen. He is favorably compared with the Los Angeles Rams’ Aaron Donald, considered the NFL’s best interior defensive lineman and arguably the best defensive player in the league. The Associated Press named Donald the league’s Defensive Player of the Year for the past two seasons. Oliver said he models his game after Donald, because of their similar physiques: Donald is 6-1 and 285 pounds. He won’t get any arguments from his high school or college coaches. A.J. Blum was Westfield’s defensive coordinator when Oliver played there. Blum also was defensive line coach at the University of Houston through Oliver’s final two collegiate seasons. They first met when Oliver was in sixth grade, during a football clinic that Westfield’s coaching staff conducted for players in its feeder middle-school programs. “In seventh grade, I watched him hang on the rim in the gym when I came to visit one day,” Blum said by phone. “And he wasn’t the tallest kid and he had a lot of baby fat on him; he was a chubby kid. You couldn’t tell him he couldn’t do something athletically. He would challenge you, whether it was in the weight room or running drills or doing something like that. The negatives on Oliver are few — some analysts have pointed to his lack of size and his drop in production in his final college season. But a potential blemish that has followed him since last November was a sideline incident during a game against Toledo that he sat out because of an aching knee. Oliver was wearing an oversized jacket that, according to team rules, was only to be worn by active starting players. Coach Major Applewhite told Oliver to remove the jacket, and the two had a heated argument while heading to the locker room at halftime. Oliver had to be restrained by teammates and staff, and he didn’t return to the sideline for the second half. He apologized later, while Applewhite downplayed the incident. How has Oliver handled questions about the incident from NFL teams? Oliver acknowledged that his combine meetings with teams weren’t easy. He ranked his sit-down with the Miami Dolphins as one of the “harder” ones. He spent most of the 2018 season working from nose tackle. It was the spot from where the scheme often had him rushing the quarterback. A bruised knee caused him to miss four games, and he finished the year with three sacks and 14.5 tackles for loss. That was a decline from 2017, when he had 5.5 sacks and 16.5 tackles for loss in 12 games. Meekins will never forget watching Oliver’s first college game. Oliver was playing on the nose then, too, yet he was making tackles on the sideline. The coach can’t recall working with another player with his level of talent – or drive.